You know what I’m talking about… the sick feeling in the pit of your stomach and the heat rising in your neck and cheeks. The feeling that is a cross between desperately wanting to help your child work through the pain they are experiencing, while also being so incredibly frustrated that you just want to start screaming yourself. It is so difficult to remain calm when our children are having a meltdown. The most important thing to remember about tantrums are that they are a completely normal part of childhood. Young children are easily overwhelmed by emotions that are bigger than themselves. Tantrums are often a result of pent-up emotional baggage that little ones don’t know how to express. Just as babies have no other communication but crying, young children teetering on the edge of a tantrum are exactly the same: in that moment, they really can’t help it. The single biggest and most common mistake that we make when dealing with our children’s tantrums is the idea that we can stop it from happening. Over-talking, bribing, yelling, shaming, and guilting are all ways that we try (and usually fail) to stop the meltdown. But ultimately, all of these tactics lead to children who learn to avoid their feelings… and children who worry that their parent’s can’t handle them at their worst. Children in the midst of a tantrum (no matter how small or insignificant the problem may seem to us) are in an emotional crisis. Think about the last time you – as a grown adult – were in tears. Now imagine if the person you thought you could lean on, the person you are counting on to help you get yourself back together met your pain with judgement, shaming, or a lack of compassion. Our children need to know that we are able to handle them at their worst, no matter what. When you overreact or yell in response to your child’s tantrum, it’s frightening and confusing to them. They can’t process anything that we are saying while they are so upset… and all they hear is the tone of our voice. That fear and uncertainty makes it even more difficult for your child to calm down and collect themselves. The more we yell, the more they can’t calm down. As difficult as it is, we need to remain calm and un-phased in the midst of their screaming. Our children feel more relaxed when they see that we are confidently in charge. We are not nervous at all about their behavior, and we willing to ride out the storm with them. Since our words are not effective while the child is in tantrum-mode, it’s best to just wait it out. If you do need to speak to them, keep your phrases short and to-the-point. Don’t try to “fix it.” Be in close proximity to your child so that you ready to physically help them as needed. For example, if they try to throw something say calmly “I won’t let you throw” and then gently take the item away. If they try to hit you say “I won’t let you hit me” and block their attempts. Even after the meltdown is over, we need to keep our explanations short and our teaching brief. When we over-talk or go into long lectures, it creates a little play or a drama in your child’s mind over what happened. They start to see themselves as the lead character in an exciting story about a boy who hit his brother, for example, and be compelled to re-enact it in the future. Children need in-the-moment teaching, so if the moment has passed there is very little learning that can happen. After a tantrum your child may not even remember what started it in the first place, let alone be able to “learn their lesson” from it. Stop your child in the middle of an act or respond to your child immediately afterwards with a simple and nonchalant “I won’t let you do that. If you do it again, I will ask you to take a break.” The theory is if your child is in a state of mind where they are able to stop themselves, they will. If they are not able to stop themselves (hello impulsivity), then taking a break will help them get back to a calm state where they are able to listen again. After a tantrum has happened though, it’s time to move on. Young children can’t easily reconnect back to what caused them to spiral downward in the first place, so this time is better spent reassuring them that next time it will be better. Your child needs to know that you have confidence in their ability to do better the next time. Some people might tell you to ignore the tantrum so that your child doesn’t get any attention for the behavior. But ignoring your child completely during a meltdown tells them that you don’t care. Sending them away to their room tells them that you can’t (or won’t) handle their feelings. Remain in close proximity and get to eye level with your child. Just be willing to stay the course with them. Say something brief that lets your child know that you are there for them. “I’m here when you need me.” Just knowing that you are close by is comforting to your child. I can’t tell you how many times I have seen a child coming to the tail end of a tantrum just melt into their parents arms when they are close by and at their eye level. We need to remember how little they are. Just because their words and actions may seem big and may frustrate us more than we’d like to admit, these are still tiny people who have only been on this earth for 2-4 years. Young children naturally want to please us, and they desperately want to be “big.” So shaming them by reminding them of their inability to live up to our expectations is really just kicking them while they are down. Children already feel so much embarrassment and shame when they lose it and have a tantrum. It doesn’t feel good to them. They want to be in control of their emotions, but they can’t. And they know that they can’t, which is upsetting and overwhelming. Even though we need to set limits and expectations for their behavior, children need to know that ALL their feelings are okay. It’s okay to feel sad, scared, frustrated, and disappointed. Tantrums are a natural response and outlet for those big feelings of frustration or disappointment, especially when they are in response to a limit we have set. Children realize how small they are, which is why they find the most comfort in knowing that their parent’s care enough to set limits to keep them safe. Our children test our limits because they need to question how much power they have. They wonder… What will she do if I try this? Will she stop me from acting this way? What if it’s the weekend? Or the middle of the night? Will the rules still apply if Grandma is visiting? They will try out every possibility until they are certain that the answer is the same. This is why we must stay absolutely consistent. We remind our children that the answer is always the same, and it’s always okay to feel sad/frustrated/upset about it. While shaming a child makes them feel weak and powerless, guilting your child makes them feel far too powerful. When we say things like “you hurt my feelings” and combine it with a “fake cry” or a pout, we give our children an unhealthy amount or power and responsibility. It’s unsettling for them. By remembering that our children don’t have control over their actions when they are in the middle of a meltdown, it seems obvious that the “guilt” route is not a good approach. Don’t get me wrong – I think it is incredibly important to teach our children empathy (see the post: Why I Don’t Make My Child Say Sorry), but during a tantrum is not the time or place. We can’t take our children’s behavior personally if we are aiming to stay calm and collected, especially when we know that our children aren’t trying to hurt us. They are simply working on figuring out their own emotions… and the last thing they need is to feel guilty about having hurt ours. First and foremost, your child’s behavior is their way of communicating how they are feeling. Are they tired? Hungry? Overstimulated? Lacking attention? Young children are programmed to keep pushing through these feelings until they literally collapse from exhaustion. By looking at your child’s behaviors as a sign that they are struggling, you can help them anticipate what they need in order to reach a better state of regulation. If you know your child is hungry, you can say something like “I hear your whining voice now, do you think your tummy might be getting hungry?” Over time your child will be able to understand the connection between their emotions and how their body feels. 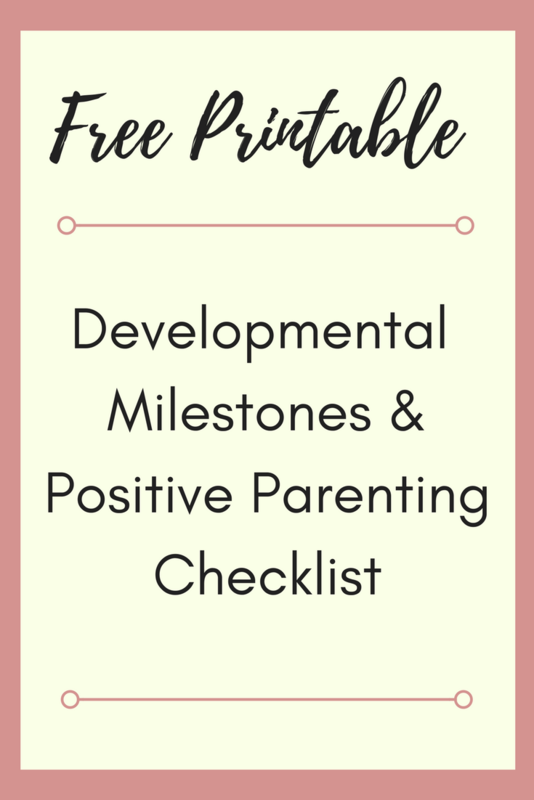 Also check out these positive parenting books! These are affiliate links. If you click on a link and make a purchase, I may receive a small commission at no extra cost to you. Thank you for supporting me! For more information, please read my disclaimer here.